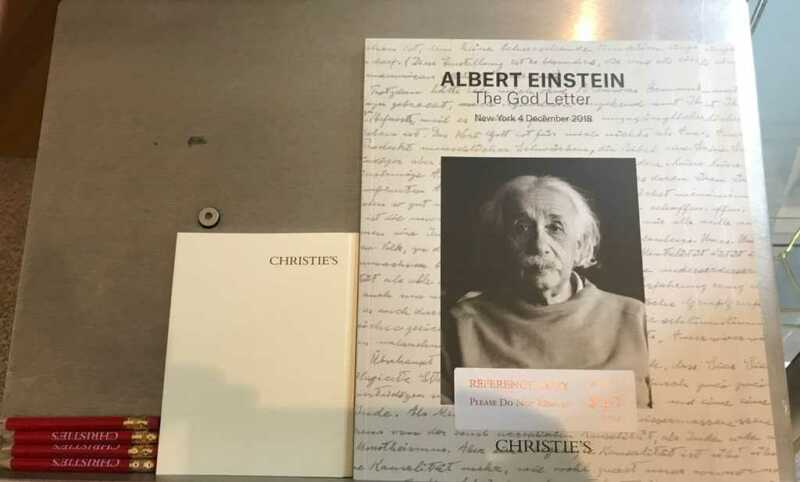 A letter in which famed scientist Albert Einstein discussed his thoughts on God and the Bible has sold for $2.9 million. The handwritten “God Letter” was written in 1954 and was expected to sell for around $1.5 million at auction in New York. “No interpretation, no matter how subtle, can [for me] change anything about this,” added the German-born theoretical physicist. With the letters being written by the hand of such an iconic scientific figure, you can fully understand why they come with such a hefty price tag. Indeed, in 2017, a note in which the Nobel Prize winner bestowed advice on happy living sold for $1.56m in Jerusalem. “A calm and humble life will bring more happiness than the pursuit of success and the constant restlessness that comes with it,” it simply read, according to BBC News. Einstein died in 1955 at the age of 76. In 2013, he was ranked 19th in TIME’s 100 Most Significant Figures in History. Who earned top spot? Jesus.